How Is Stephen Hawking So Stinking Wealthy? The world's most famous theoretical physicist is also rich as hell. How is he rolling in so much dough? Despite having been afflicted with amyotrophic lateral sclerosis (ALS) for most of his life and forced to compensate for the paralysis by using a wheelchair and a speech-generating device, noted physicist Stephen Hawking makes more money in a year than most of us will ever make in our entire lives. How is that? Do all researchers studying black holes and cosmology really have an estimated net worth of $20 million? Stephen Hawking doesn’t fit the bill of millionaire. He’s a noted physicist and has done some groundbreaking research on black holes and cosmology. He has suffered from amyotrophic lateral sclerosis (ALS) for most of his life and has been forced to compensate for his paralysis by using a wheelchair and a speech-generating device. 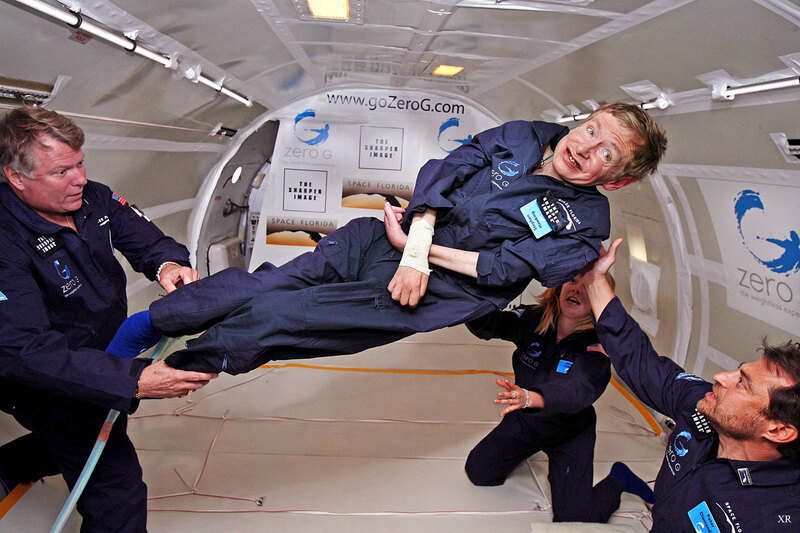 So how does Hawking have an estimated net worth of $20 million? Turns out, it’s all about diversification. Hawking, at 72, has diversified his earnings from several different sources — and they all manage to pay out a pretty princely sum. For starters, Hawking is the director of research at the Center for Theoretical Cosmology at the University of Cambridge. It’s an incredibly prestigious role at an incredibly prestigious university. It therefore commands an incredibly prestigious salary. But Hawking owes the majority of his fortune to other sources. He’s a bestselling author, having authored and co-authored more than a dozen different books, each of which brings him a good chunk in royalties (A Brief History of Time was on the Sunday Times bestsellers list for more than four years). He’s helped produce several films and has appeared in several movies and television shows. The talks and speeches he gives are each worth a hefty fee on their own. Then, there’s all the award money he earns for the accolades the world has lavishly bestowed upon him. One example: In 2012, Hawking earned a tidy $3 million in cash for winning the Fundamental Physics Prize, part of Russian billionaire Yuri Milner’s Breakthrough Foundation. And you can be sure that the 2014 film, The Theory of Everything, for which the dashing Eddie Redmayne won an Academy Award for his portrayal of Hawking, earned the physicist at least a few quid, and probably propelled him back into the spotlight to increase his speaking fees by a few healthy notches. For his part, Hawking doesn’t seem to care much for his fortune. He said so himself this past July, for an op-ed published in The Guardian, that he has “come to see money as a facilitator, as a means to an end – whether it is for ideas, or health, or security – but never as an end in itself.” He acknowledges the role wealth has played in allowing him to live much longer than doctors predicted, but decries the obsessions modern society has about accruing such wealth for its own sake. Regardless, there is no doubt Hawking has used his wealth to help increase his profile, expanding his influence in both the scientific realm and the public sphere. When the man says something about how robots will destroy humanity, or how climate change will destroy humanity, or how aliens will destroy humanity — really, anything about the destruction of humanity — people listen — and pay. When he throws his support behind interstellar space travel, people listen — and pay. When he makes it a point to encourage the world’s young scientific minds and advise them to be “fearless”, people listen — and, well, you get it now. Stephen Hawking is rich because people listen to him and are willing to pay him for his ideas.